I’ve reviewed the RRS series 3 levelling head in the past, and found it to be an excellent pice of kit if you have a series 3 Really Right Stuff tripod. The series 2 levelling head takes on a very different design to the series 3, and that means it definitely warrants its own review. A levelling head sit between your tripod and your ballhead and they allow you to perfectly level the ballhead in just a matter of seconds. Doing so without a levelling head can be tricky because you have to manipulate the three legs of the tripod. Whilst possible, it’s time-consuming. 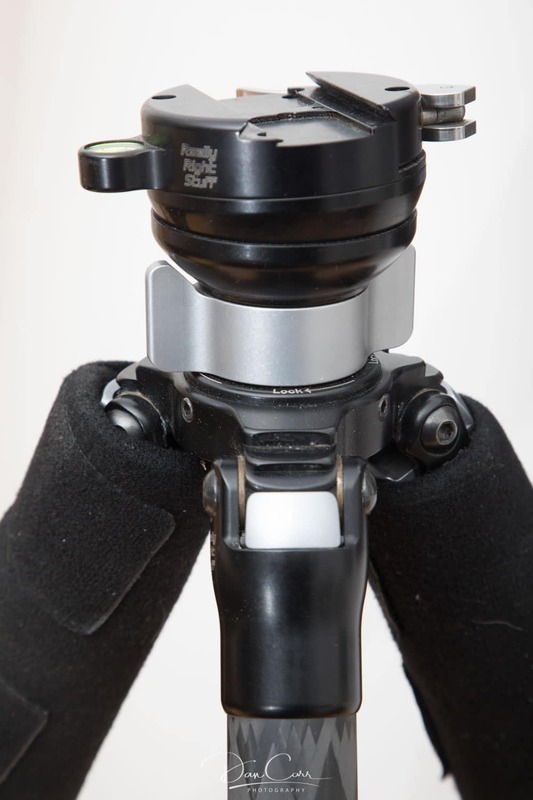 A perfectly level tripod head is necessary for panoramic photography, as well as when using a gimbal or a video head. If the tripod isn’t level, the image in the viewfinder will dip up and down as the camera is rotated. On the series 3 head, the mechanism for releasing the head is a handle between the legs, under the main platform. With the series 2 head, there’s a large silver locking collar that sits above the main platform at the apex of the legs. The benefit of this setup is that the tripod can go right down to the ground if you spread the legs to 90 degrees. The disadvantage that I’ve found, is that the locking collar often gets sand and dirt trapped in it and there’s no easy way to clean it out. My levelling head has a permanent scratchy noise when I loosen the locking collar, and sometimes the whole thing gets downright stiff if I haven’t unlocked it for a few weeks. By comparison, the series 3 heads can be dismantled which makes them very easy to clean with a simple splash of water. The lever-release clamp on the top of the levelling head is optional, but I do find it incredibly useful for switching between my BH-55 ballhead, and my PG-02 gimbal. It’s also nice to be able to quickly remove a ballhead for protection when carrying the tripod setup in more hostile environments. 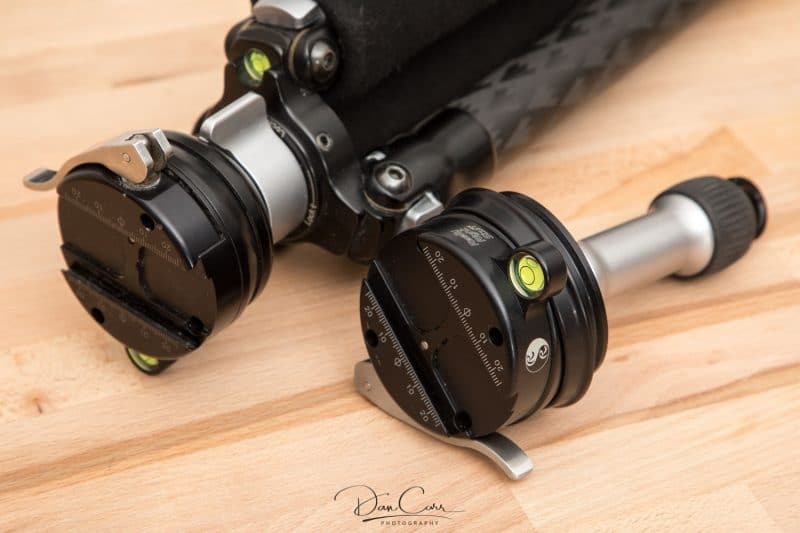 If you have an RRS series 2 tripod then you have a tricky decision to make. 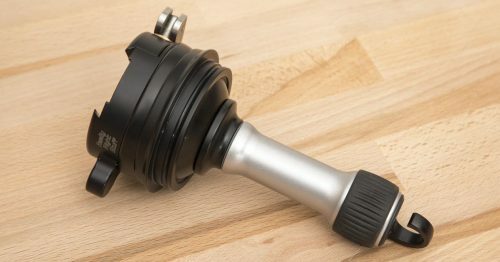 I personally prefer the design of the series 3 levelling head, but I appreciate the the same bowl style would not have worked on this tripod if you wanted to maintain the top width large enough to accommodate the 55mm wide BH-55 ballhead. This head is definitely the best way of using a BH-55 on a series 2 tripod, despite the issues I have with dirt easily getting in the locking collar. 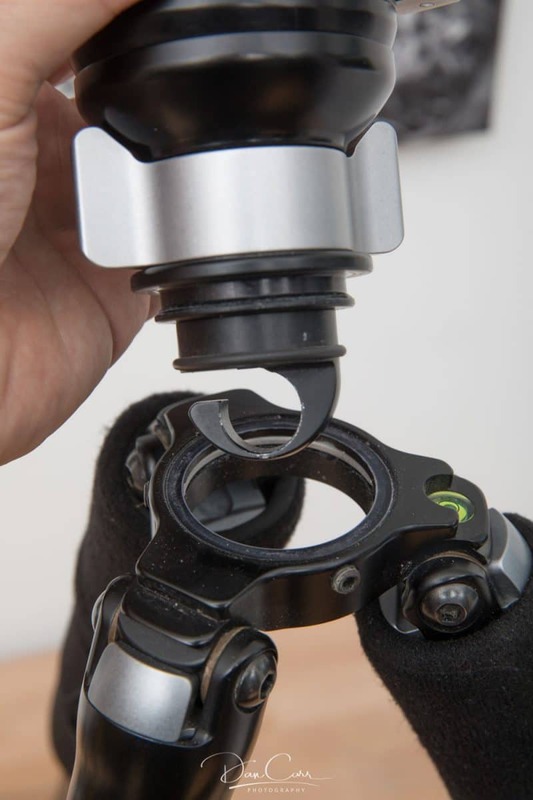 If you plan on using a BH-40 or other similarly sized head on a series 2 tripod then you should also consider simply using a panning clamp on the ballhead instead of getting this levelling head. 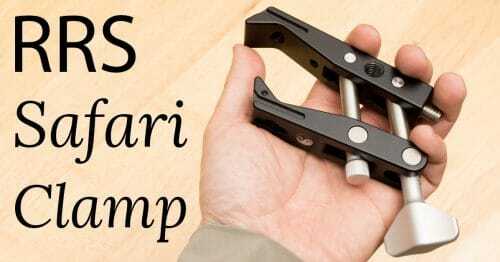 This will allow you to level the panning section of your pano rig, and in a pinch, you could use it to level a gimbal too, if you weren’t using the gimbal with the absolute largest super telephoto lenses. 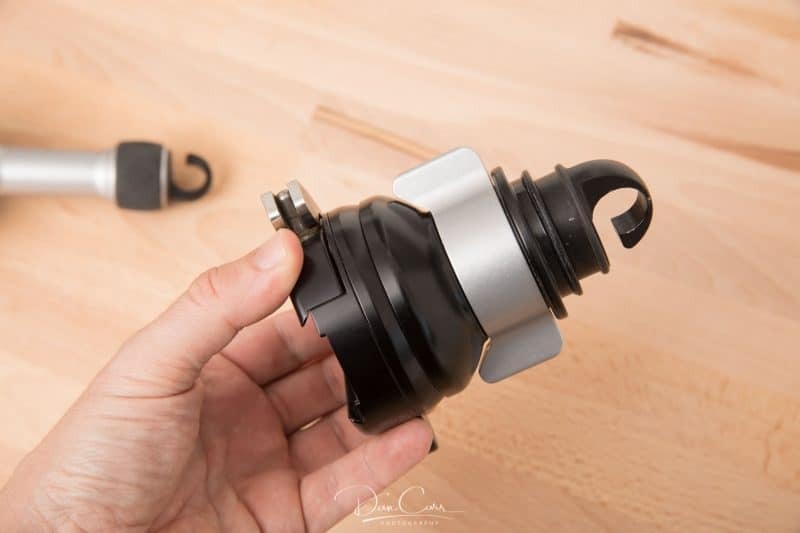 If you plan on using a gimbal a lot, as I do, then I do think the ease of use overcomes the problems I have with keeping the locking mechanism clean. In other words, it’s not a home run for RRS in this instance, but it’s still a very well made piece of kit. 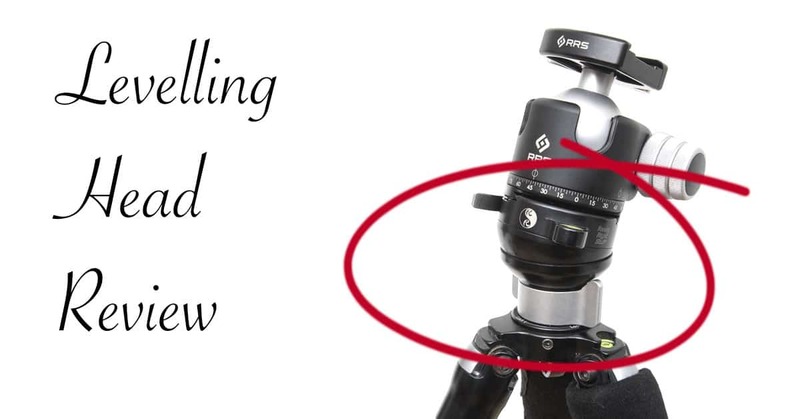 If you really need a proper levelling head for an RRS series 2 tripod it’s your only option. 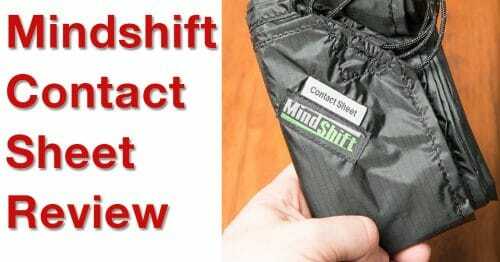 Really Right Stuff are an American company, and fine folks to deal with directly. However, B&H also stocks all of their products, and likely offers cheaper shipping options for most people. I’m in Canada and B&H will ship to me for free on this product, and also let me pre-pay all tax and duties. The same can be said for many other international destinations and of course free shipping is available in the US as well.